Pagani of Dallas was founded in 2014 and is the newest dealership for the company in the United States. The dealership works with each client to tailor a Pagani to their tastes. 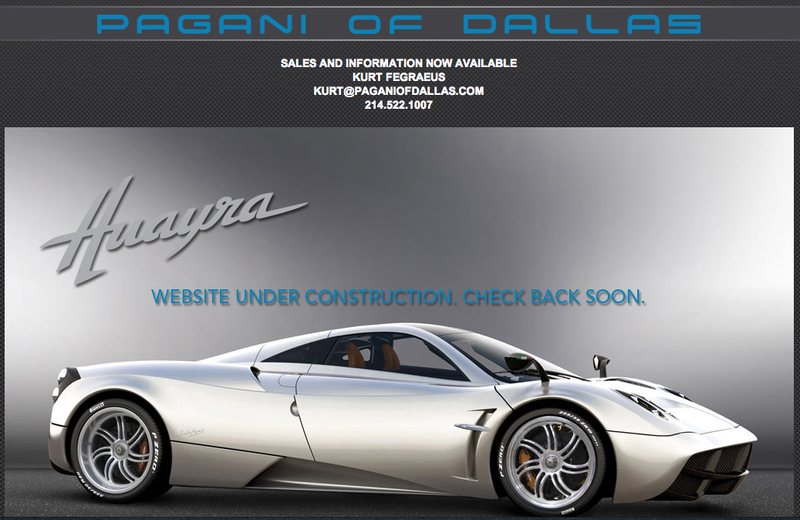 Pagani of Dallas is the only factory authorized dealer in Texas for the US spec Pagani Huayra. The dealership also offers pre-owned models and services all Pagani vehicles. The dealership is located with the John Eagle owned Aston Martin of Dallas on Lemmon Avenue. The museum-inspired facility offers owners a two-story private club that is available and hosts exclusive events. Information is available at www.paganiofdallas.com or by calling (214) 522-1007.